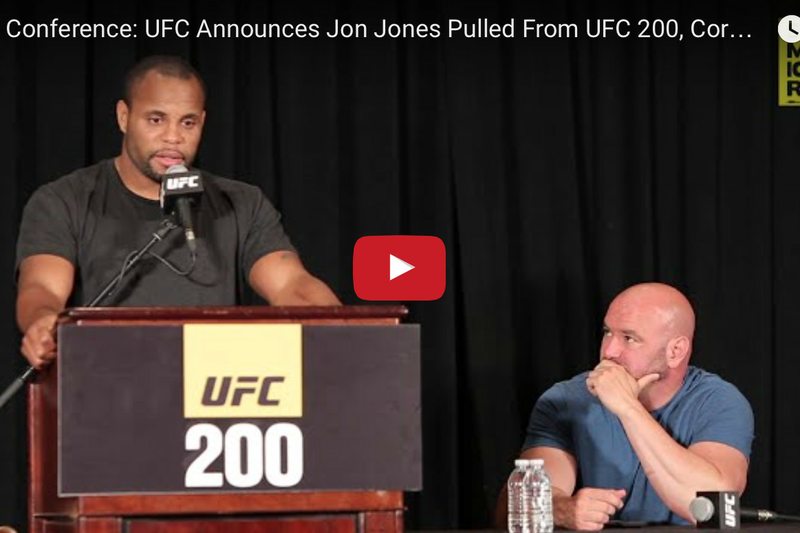 In what truly was the worst case scenario for Ultimate Fighting Championship (UFC), Jon Jones was pulled from his headlining title unification fight against Light Heavyweight champion Daniel Cormier — which was set to pop off at UFC 200 on Sat., July 9, 2016 in Las Vegas, Nevada — after “Bones” was flagged for a potential violation by United States Anti-Doping Agency (USADA). Read all about it here and here. A crushing blow to not only what promised to be the most stacked pay-per-view (PPV) event of all time, but to Cormier, too, who was left out in the cold with no one to tango with in “Sin City,” effectively losing his opportunity to get one back from his biggest rival. “Very disappointing. I worked really hard to prepare for this. You know, you take care of what you can take care of and that’s what I did. More than anything, just very disappointing. I’ve done everything right. I put myself in a position where I felt I could win this fight. So, to hear something like this is very sad, from a competitive standpoint and from a financial standpoint. There are a number of ways in which this is disappointing and I really don’t know exactly how to explain how I’m feeling right now.